Wyllie was a better goalkeeper than his overall 209 league appearances show. Born in Dundee, he came to the notice of Dundee United via Scottish junior football. Bob was with Monifieth Tayside and signed provisionally for United in September 1949. 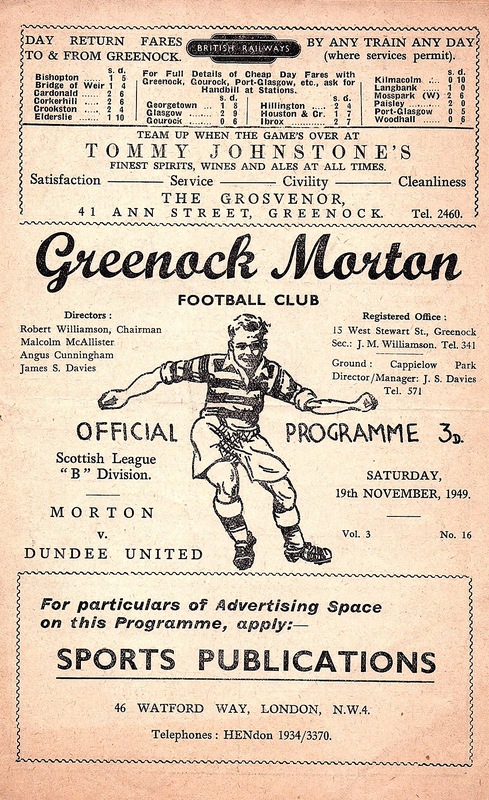 After playing well in the reserves to the first team in November 1949. He then shared first team duties for the remainder of the season. Bob began the next season as first choice and was rarely out of the line up for the next three years. In May 1953, he left United to join Blackpool. There he understudied Scottish international custodian George Farm. He next moved to Upton Park in May 1956 but found himself second choice to Ernie Gregory, reputed at the time to be the finest uncapped goalkeeper in England. When he did play for the Hammers he earned rave reviews but Gregory, if fit, would always be selected. He made 13 appearances for each of Blackpool and West Ham. Arriving at Home Park in the summer of 1958 he waited seven months for his debut, a memorable 8-3 win at home to Mansfield in March 1959. With the whole side faltering in the promotion race it was a difficult time to come in and Geoff Barnsley reclaimed the gloves after only four more matches. Having never properly settled in Plymouth, the summer of 1959 saw Wyllie opt for a move to Mansfield where he enjoyed his most regular spell of first team football, playing 92 times for them. He settled in Derbyshire and in 1962 he elected to drop out of the League and went on to give fine service to Ilkeston and Alfreton where he also had a spell in the management team. Bob was born on this date in Dundee.